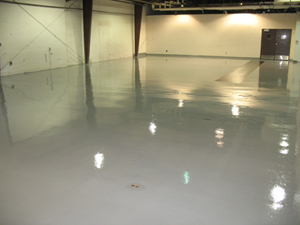 About Carolina Coatings & Tile, Inc.
At Carolina Coatings & Tile, we have extensive professional experience in the application of epoxies, polyurethanes and polyaspartic coatings. We expertly apply coating applications for all types of Commercial, Industrial and Residential application requirements. 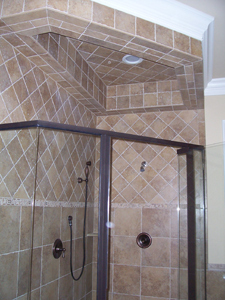 While much of our time is spent on the flooring side of our business, Carolina Coatings & Tiles also has extensive professional experience in creating and building tile back splashes and walls. Raoul Tonini, the owner of Carolina Coatings & Tile, was born and raised in Italy and began working with tile at a very young age. With his many years of experience in creating and installing detailed tile designs, Raoul brings a unique passion and attention to detail to each client he serves. He works with every client to provide them with custom designs and installation for ceramic, marble, stone and mosaic tile. Over the years, Raoul has expanded his passion and creativity into the realm of floor coating systems, all the while keeping his focus on providing excellent service to his customers. Carolina Coatings & Tile will provide a custom floor system to suit your most demanding flooring application needs — with a complete range of flooring products, including primers & sealers, membrane & crack fillers, resurfacers and high performance topcoats – you’re sure to get a floor that’s right for your needs and personal style, all while providing you with a major return on your investment. Since the company’s inception in 2008, the mission of Carolina Coatings & Tile, Inc. has been to provide the highest quality seamless resilient coatings available. Our professional floor coating technicians continue to develop our experience with high performance chemical formulations, and top-quality application equipment for commercial, industrial and residential applications. Our application products range from polyurethanes to epoxies, Carolina Coating & Tile, Inc. offers a wide variety of 100% solids, environmentally-friendly products containing no volatile organic compounds and no solvents. Adhering tenaciously to virtually all surfaces, every product formulation may be customized to meet specific application requirements. Our production facility is located at 3051 Rock Spring Church Road, Creedmoor, NC 27522 in addition to our mobile application equipment.